La Presse president Pierre-Elliott Levasseur responds to a question during a news conference Tuesday, May 8, 2018 in Montreal. Canada’s billionaire Desmarais family is cutting loose Montreal’s La Presse in a bid to take advantage of Ottawa’s new willingness to allow media companies to operate as charities. For André Desmarais, president and co-CEO of Power Corp. whose father bought La Presse 50 years ago, the change has meant making tough decisions. Under the news outlet’s planned structure, a chair will be jointly named by La Presse and Power. The chair will act independently to form a board, which will renew itself over time. The organization will also appoint a trustee to oversee revenue, donations and income to be spent on reporting and publishing. After looking to other not-for-profit news outlets for inspiration, La Presse estimated that it could get $3-million in donations a year based on its readership. The news outlet is also angling for government funding. La Presse intends to take advantage of the federal government’s 2018 budget commitment to “exploring” new business models in consultation with the media industry. Ottawa expressed a willingness to grant charitable status to media companies, which would allow them to seek new funding sources and receive tax-deductible donations to support investigative and public-interest journalism. Power Corp. has been mulling the future of La Presse for several months. The former newspaper, which employs 585 people, had bet heavily on digital platforms, first cutting its print edition from Monday to Friday, and then axing its weekend paper. That forced loyal readers to its tablet app, La Presse+, which launched in 2013 and now reaches 260,000 readers that spend 40 minutes with the free app a day. La Presse planned to sell the tablet platform to other media companies around the world and initially invested $40-million to launch it. One such deal with Torstar Corp. used the template to create an app called Star Touch, betting it would reach younger audiences. But Torstar scrapped the project within two years after failing to attract readers and advertisers. The digital revenue generated by the app can’t support the La Presse newsroom, Mr. Desmarais said. And there are too few francophone people willing to pay for content in Canada to make a paywall model work at La Presse, Mr. Desmarais said. “People don’t realize the damage that Google and Facebook created,” said Guy Crevier, publisher of La Presse. Digital ad revenue across Canada has grown from $600-million in 2005 to $6.3-billion today, but “80 per cent of those revenues are in the hands of two bulldozing giants that are literally crushing all media,” he said. In Quebec City, Premier Philippe Couillard said the announcement was positive in that it would ensure the future of the newspaper. But he cautioned that governments must tread carefully in their involvement supporting the media industry. “I would question the perceived independence of the media vis-à-vis any government that finances it directly,” he said. Speaking to reporters after the announcement, Heritage Minister Mélanie Joly refused to provide further details on Ottawa’s plans to grant charitable status to media companies. “I am in discussions with major groups across the country to see how we can support new models and recognize them as non-profit organizations, and it is up to them to make their own decisions,” she said. 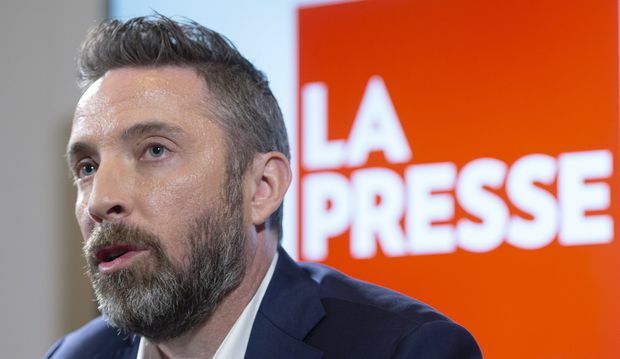 La Presse’s intention to convert its structure requires approval from Quebec and the “repeal of a provision of a Private Act adopted in 1967 regarding the ownership of La Presse,” the company said. That is the year that Paul Desmarais Sr. acquired the paper from the Berthiaume family. Even if Mr. Desmararis could have seen a path to get La Presse to break even financially without government assistance, he’s not sure keeping it in the family would be the right thing to do, although they may be donors in the future.